Free? What is this “free”? It is no longer a word we hear very often. It seems that these days nothing comes without a cost. But thankfully, there are still a few things that we can enjoy without spending our hard-earned cash. Here are some of the best free activities we can enjoy here on the island of Guam. Now of course, as we have stated, not everything is free. So for those who are budget-conscious, Guam also has activities that are relatively cheap and are certainly worthwhile for you to check out. Surrounded by crystal clear, blue waters, Guam has some of the most amazing snorkeling you can find. The coral reefs cover the ocean floor providing an array of gorgeous colors and features unlike anything above water. There are very few emotions that can compare to the feeling of floating above the mysterious world beneath the waves of the ocean. See our article on the Top 10 Snorkeling Spots on Guam. 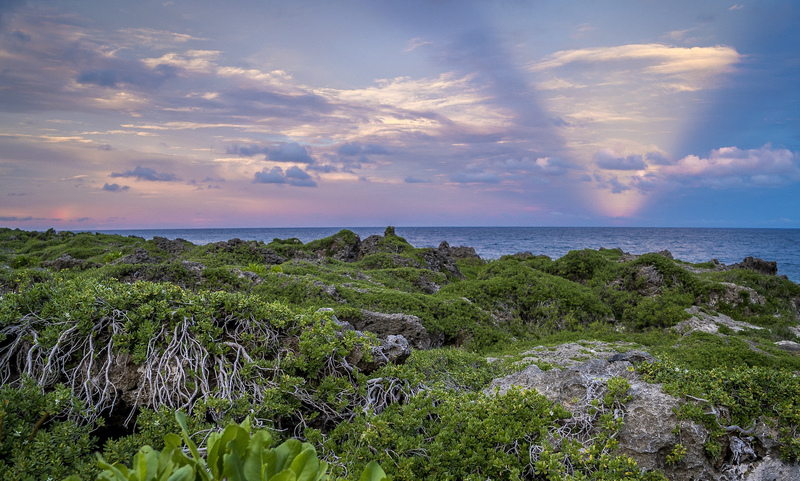 Guam’s landscape is breathtaking to say the least. And the best (and cheapest) way to experience it would have to be hiking. 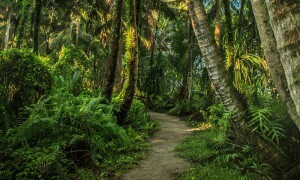 The island’s many trails offer a variety of destinations such as waterfalls, swimming holes, caves, mountain tops, stunning coves and flawless bays. The volcanic soil of the southern-half of Guam blankets the land with layers of color and texture the beauty of which can only be truly understood when you see it for yourself. Nature and the outdoors will be free for the foreseeable future so get out there and soak up the vitamin D and breathe in the fresh air. 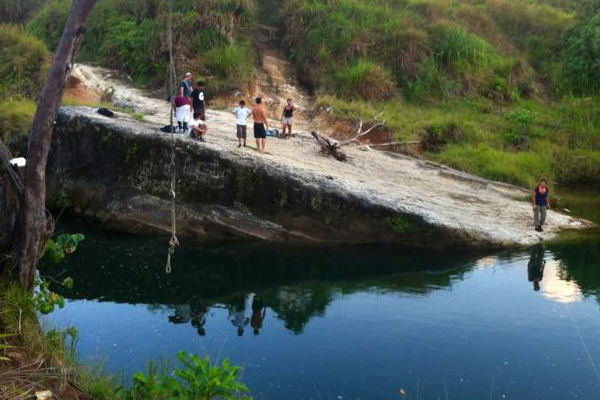 Check out our article on Guam Boonie Stompers for more info on how to immerse yourself in this spectacular activity. 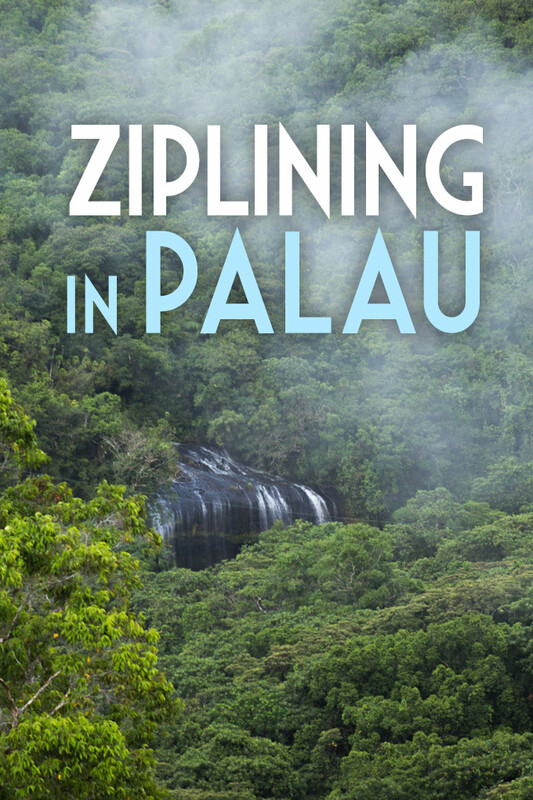 Also, check out this video for a look at the hike to Sigua Falls. Picnics are probably one of the best classic free activities. But a picnic with a sunset can take it to a whole new level! Everywhere on Earth has a sunset, but Guam in particular has some of the most amazing cloud formations which provide a canvas for the sun to showcase its final work of art for the day. And what better way to appreciate it than with family or friends, relaxing on the beach or in the park with snacks and a refreshing drink? There is really no comparison to a sunset and no two are the same. 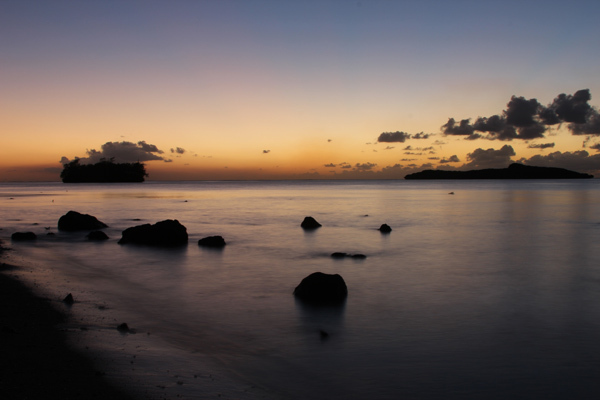 Guam has plenty of beaches perfect for such an activity and there are many parks as well with a great view of the sunset. One of Guam’s most popular free attractions, particularly with tourists and newcomers, Chamorro Village offers a variety of attractions to enjoy free-of-charge. The outdoor mall is open every day but the main events and festivities happen every Wednesday evening from 5:30 p.m. to 9:30 p.m. While it may function mainly as a market, the cultural dances, live music, dancing, and other attractions are there for your entertainment at no cost to you. The many displays of local art, wood work, and crafts give insight into the history of Guam and its people. The Latte Stone is one of Guam’s most well-known historic symbols. The Latte of Freedom can be called the World’s Largest Latte Stone. 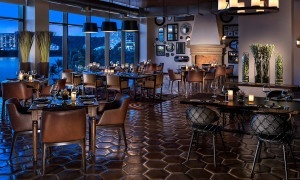 Set atop a conspicuous stone point overlooking both Agana bay and Asan Bay, the Latte offers a beautiful view of the ocean as well as a unique perspective of the island. It is certainly a sight to see and it’ll only cost you $2. 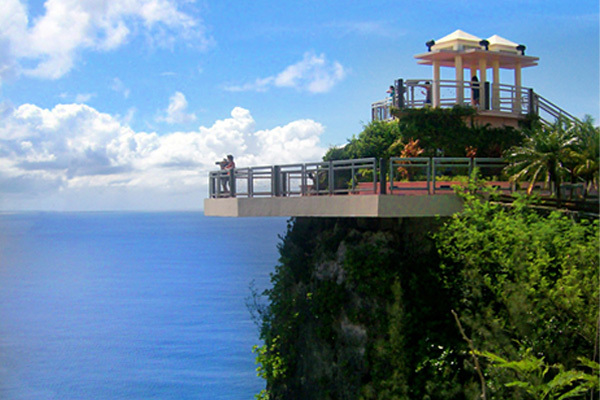 Two Lovers Point offers a one-of-kind view of Tumon Bay and the Philippine Sea. It features a two-tiered lookout jutting over a 400-foot drop cliff face. 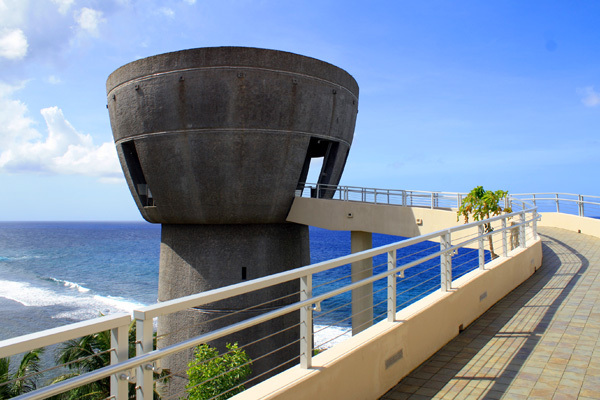 There are telescopes for long range views of the ocean and Guam’s western coastline. There are many amenities to enjoy as well such as souvenirs, refreshments, the Kaha Art Gallery, and a picnic area. Admission is $3 and children 6 and under are free. Guam Zoological Botanical & Marine Garden was established in 1977 and is home to over 40 species of endangered marine and wild life as well as numerous other exotic and domestic animals from around the world. It is a wonderful destination especially for families as young children are certain to enjoy meeting the animals and even feeding them. For ages 12+ it costs $15 and for ages 11 and younger it costs $8.50. Take the time to enjoy some of these cost-effective activities and see some of these sights. As you can see, you won’t have to break the bank to enjoy all the beauty and excitement that Guam has to offer.